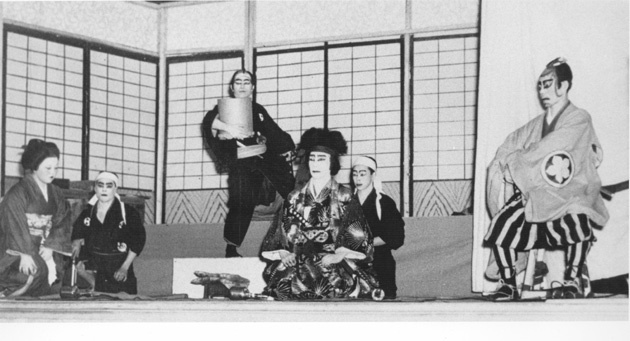 Kabuki Theatre is a performance of dance and song, circa 1950. During the 1940s and 1950s in Montreal, drama groups, such as the Japanese Drama Group, were an important community social activity. The Nisei Drama Club performed in English while the Montreal Young Buddhist Society (MYBS) performed in Japanese.